As part of the Computing curriculum, 2MS visited the Computer Room to log on to the laptops and test a range of simple games on Scratch. They used the laptops over a series of weeks and evaluated games, giving them a score and then discussing ways to improve and develop the games. They enjoyed evaluating one player and two player games that included an addition race game, a tennis game and a fishing game. The children also reflected on their own gaming at home and how games can be addictive. 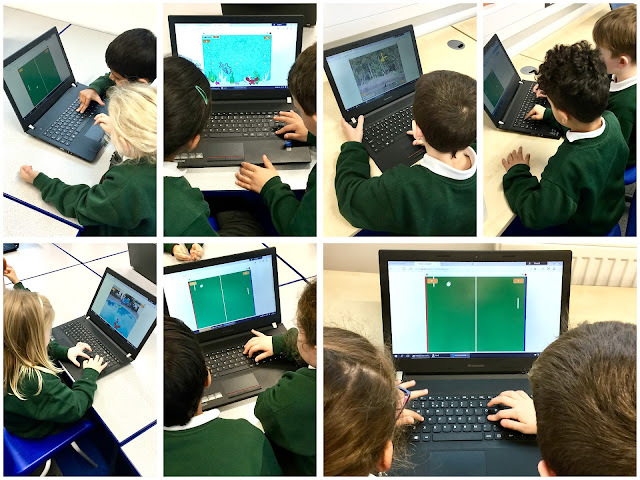 Evaluating existing games has laid the foundations for future learning where Year 2 will be able to modify and develop their own games using the coding skills they will learn in Computing.